I subscribe to The California Sun, a new California-centric newsletter by Mike McPhate. It includes features like, recently, "When Russia Settled California." I thought I recognized the images. Isn't that where I went on a grade school field trip? I wondered. 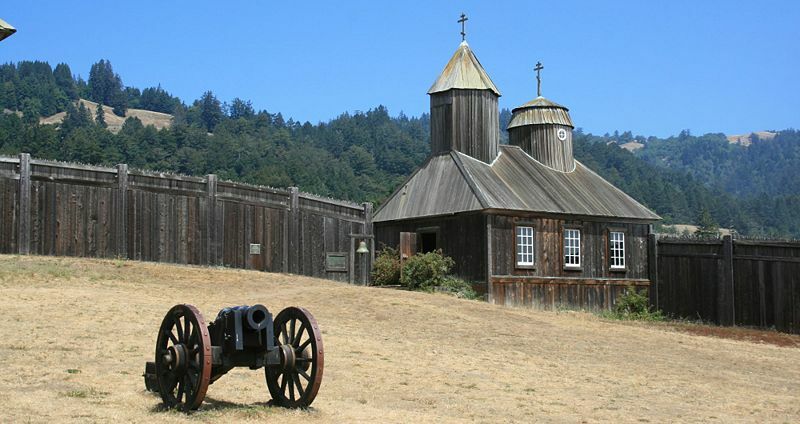 Indeed, it was Fort Ross, which comes to mind occasionally because that's where I first tried out being a journalist. I believe I was in the fifth grade, and we went on an overnight trip to Fort Ross, which has a program that allows groups to stay overnight at the Fort, and, in doing so, go back in time to experience life at the Fort as it used to be. When I went, various kids chose various roles to play. The person who made butter, I seem to recall, was one. Maybe another included feeding livestock. Instead of going back in time, I chose to be the reporter from the present time who would report back on the trip. I wore a sweater vest. I suppose that was my idea of what a journalist dressed like.